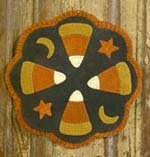 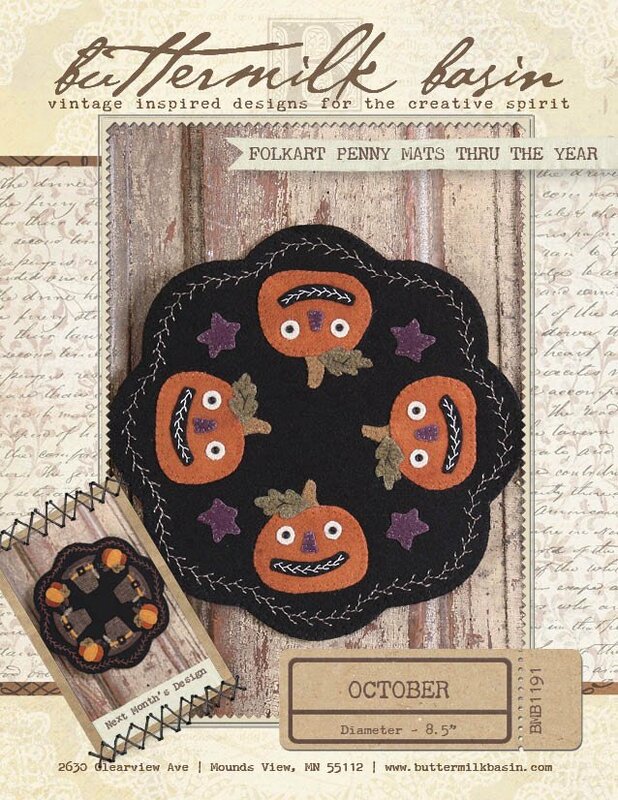 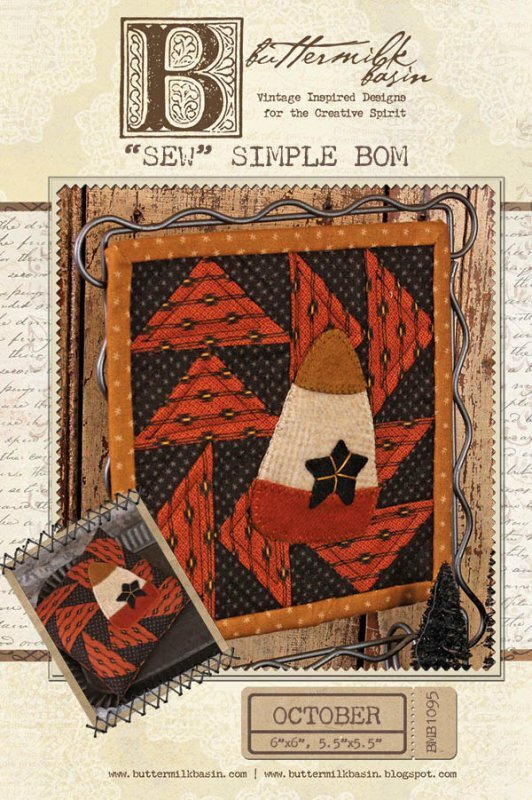 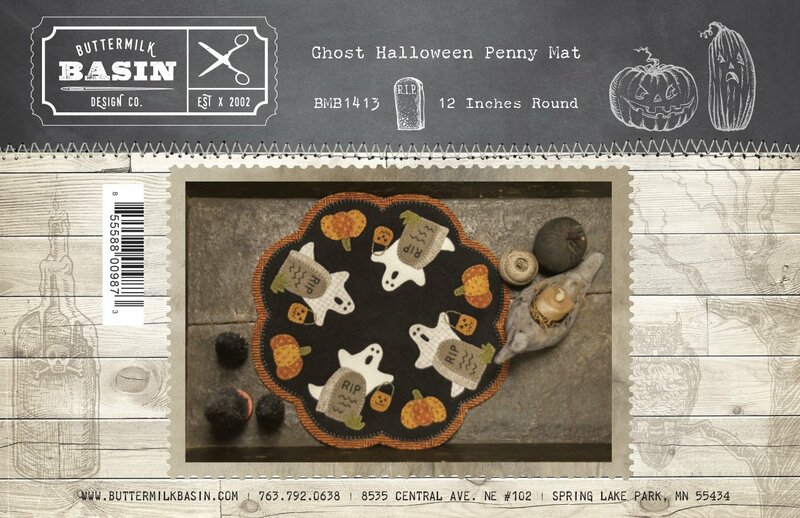 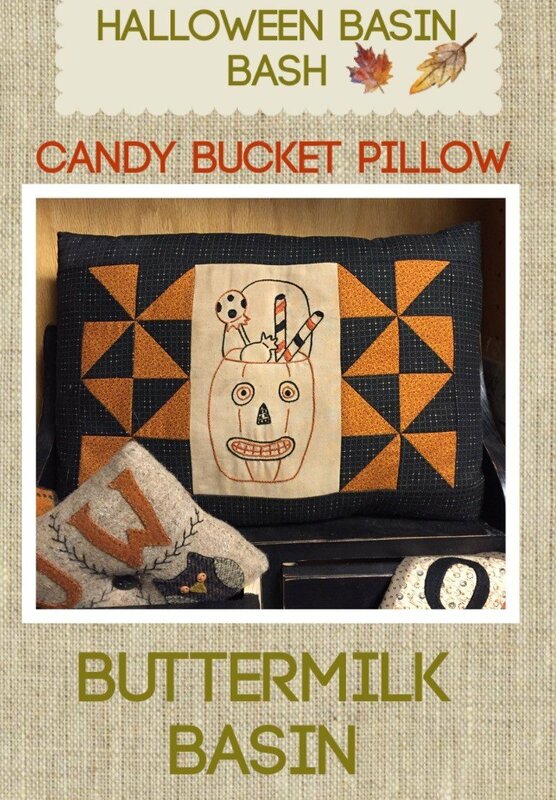 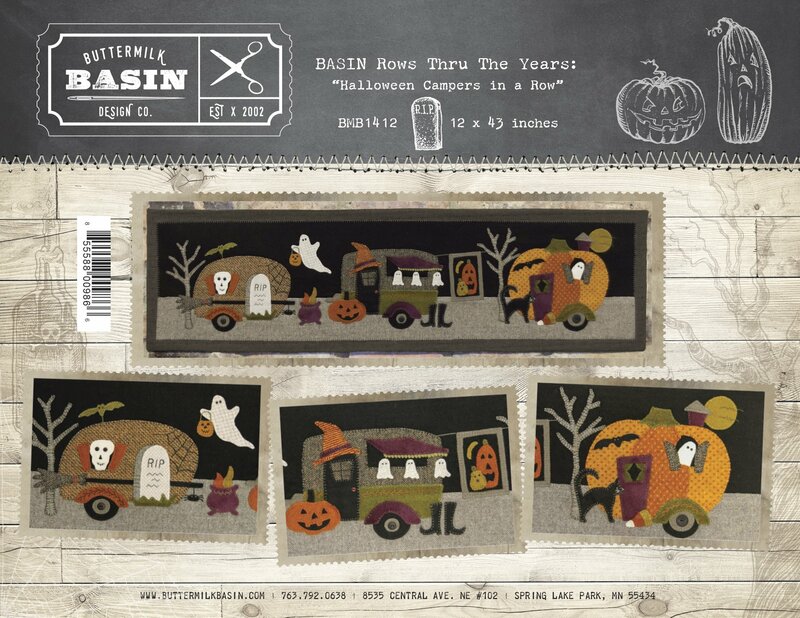 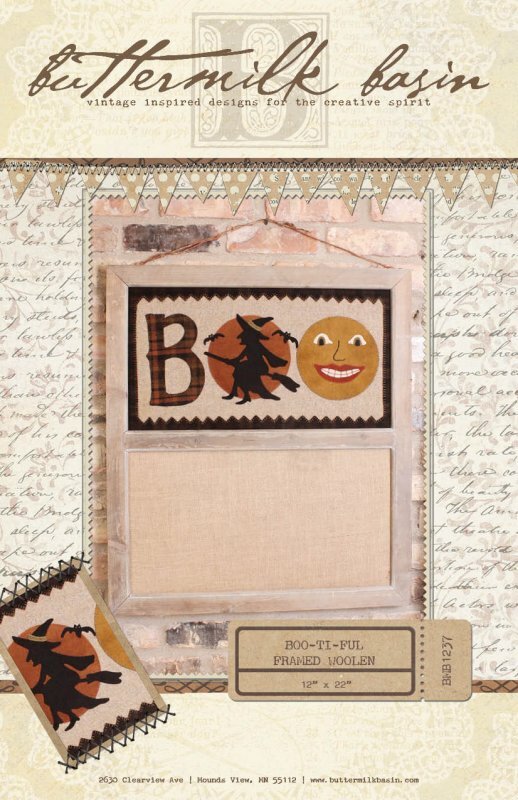 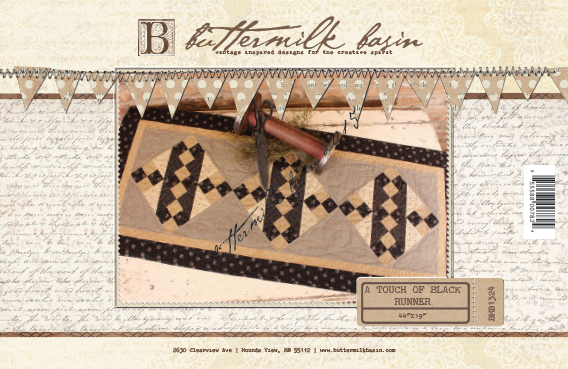 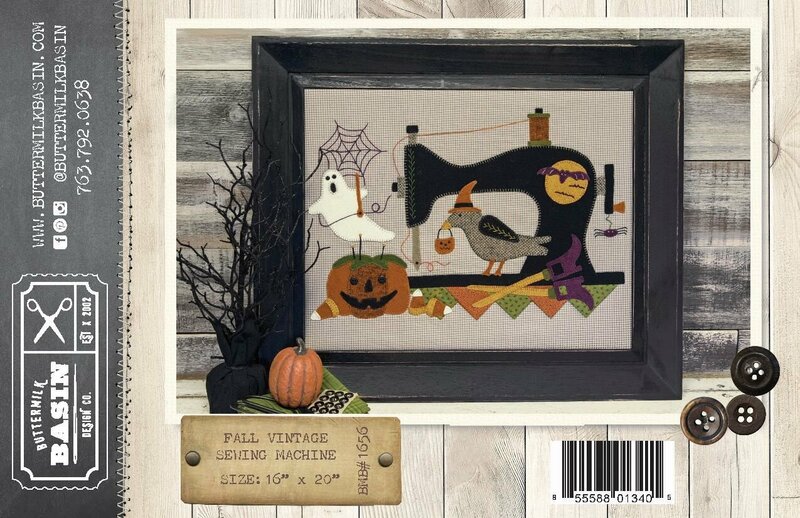 This button pack is created exclusively for our Merrie Halloween Wool Quilt. 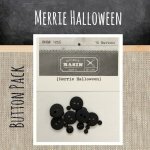 It includes all the buttons you need for the quilt! 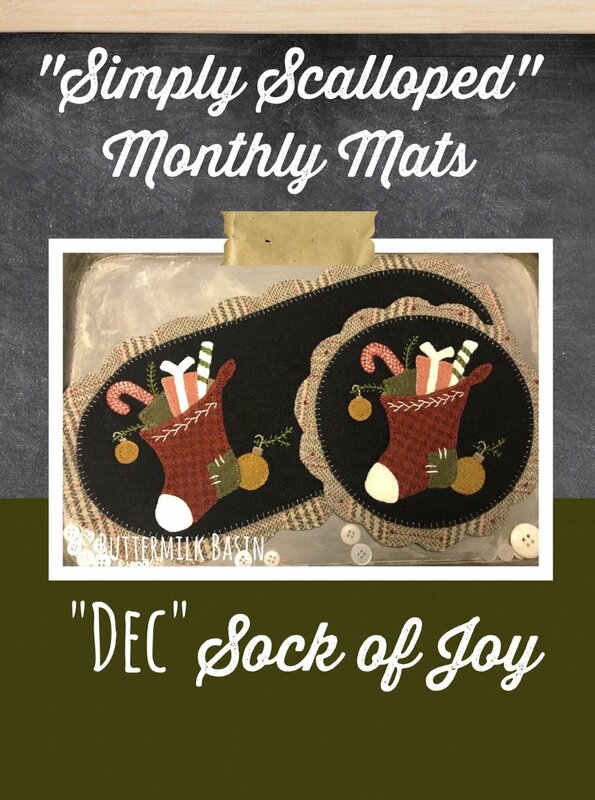 Of course, you can purchase them for other needs as well! 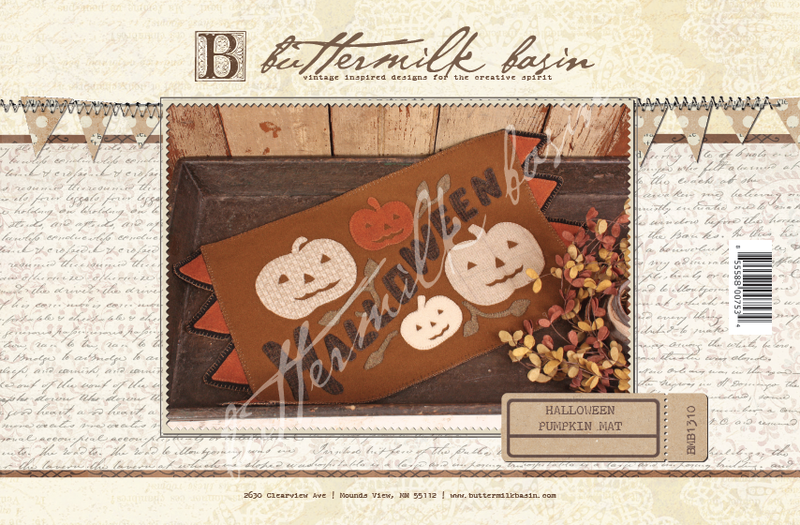 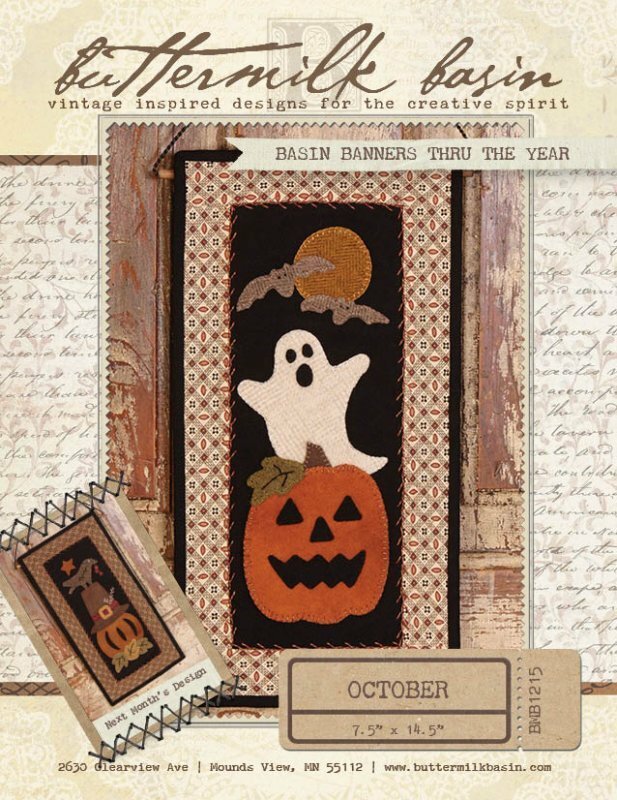 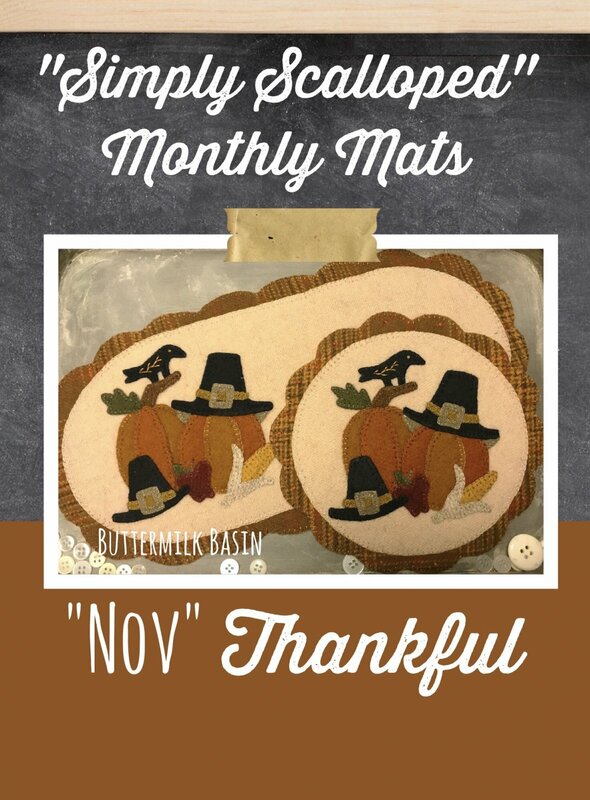 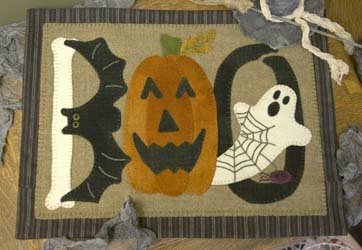 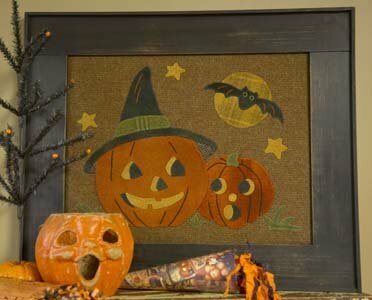 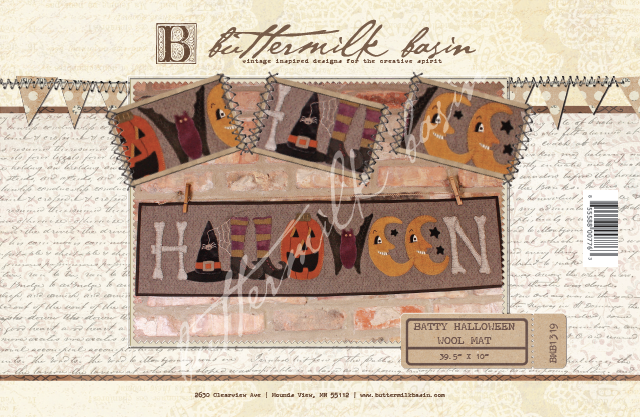 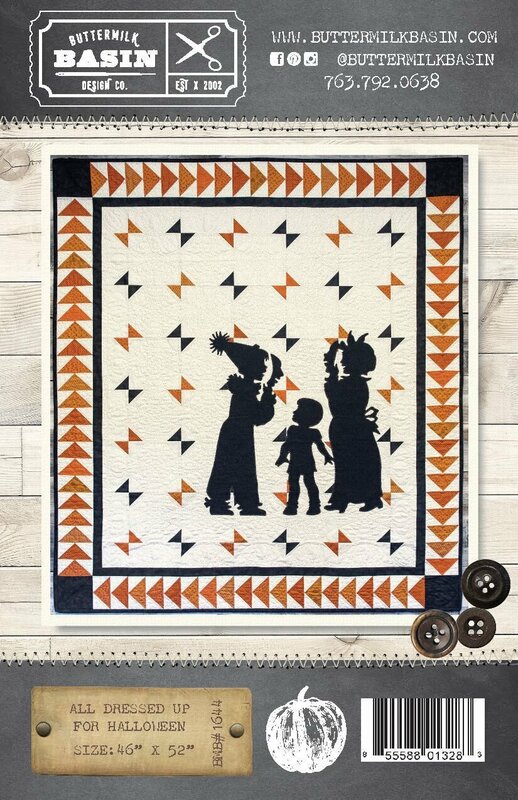 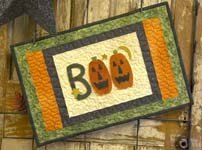 Batty Halloween Wool Mat is one of my favorite "play on words" designs! 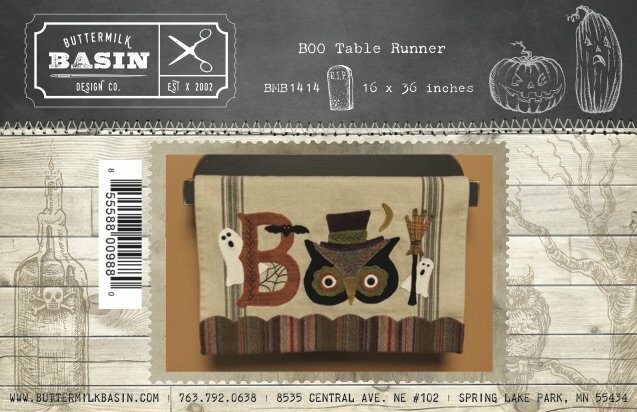 From bones bats to pumpkins it is all in this spooky runner! 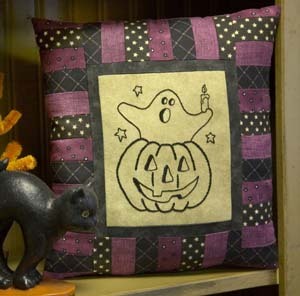 Would also look great done in cottons! 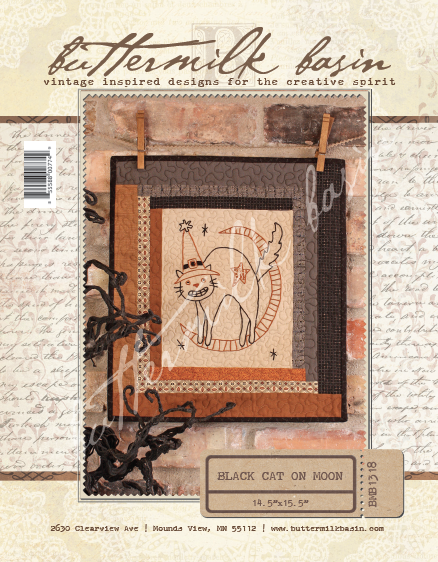 Black Cat on Moon combines stitchery & quilting! 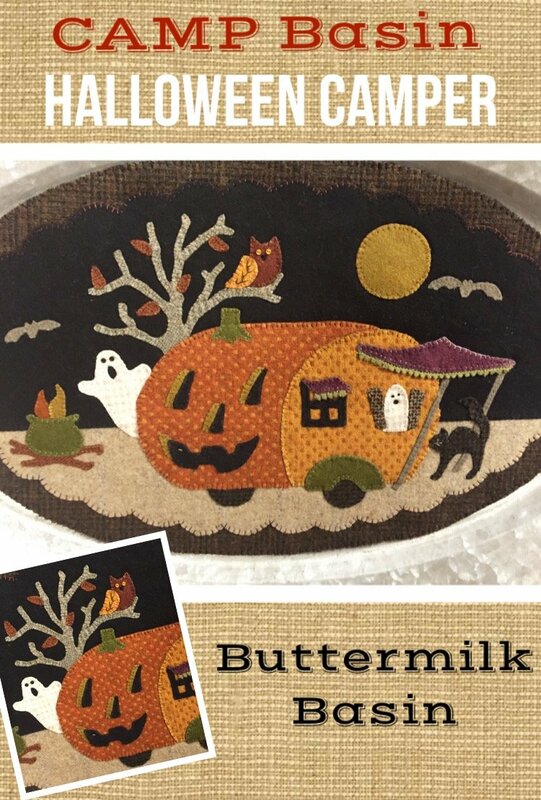 What a perfect combination! 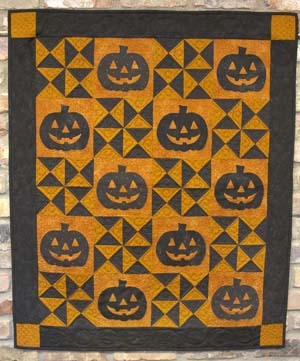 Again I used fabric (non seasonal but works as seasonal) from my Humble Beginnings fabric line! 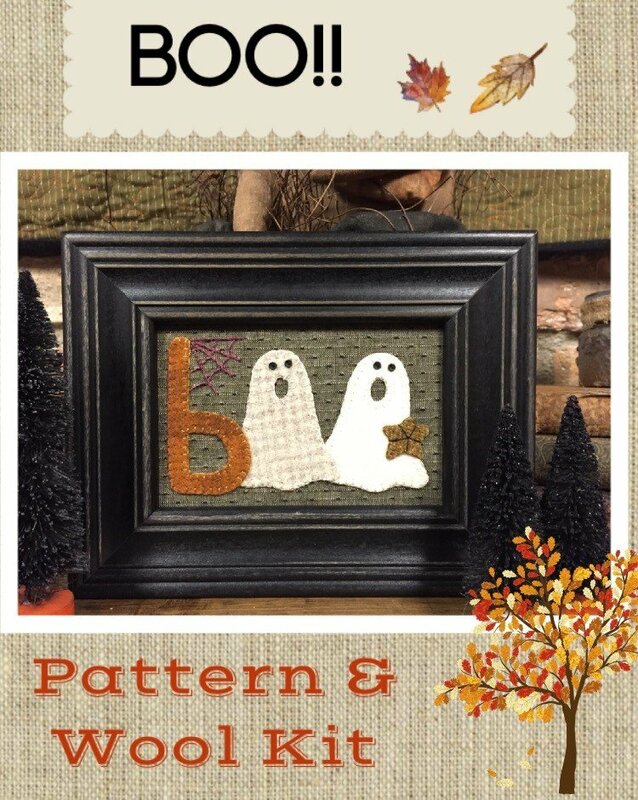 It turned out darling! 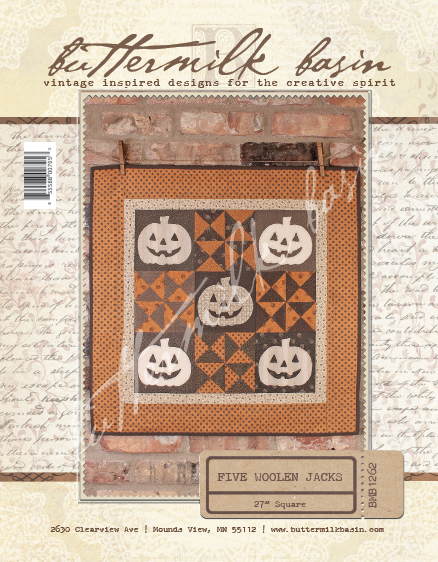 Five Woolen Jacks is one of my FAV little mini quilts because it features my cheddar and gray fabrics from my Humble Beginning's fabric line! 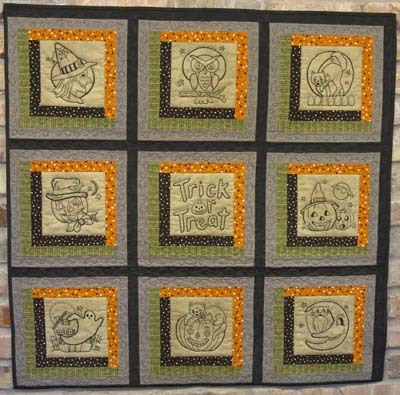 I love anything cheddar & gray! 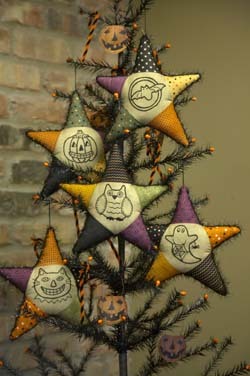 And the cream pumpkins are the icing on the cake!